Prince Titus, son of King Tyrone and Queen Tristine, is kidnapped, and the suspects are Tunlundian pirates. But what do they want with a 7-year-old boy? Prince Titus, son of King Tyrone and Queen Tristine, is kidnapped, and the suspects are Tunlundian pirates. But what do they want with a 7-year-old boy? The fate of his nephew in question, Nigel takes Chad and Avatar on a covert mission to Tunlund. To facilitate their effort, they join a tribe of gypsy entertainers opposed to King Dante. The trio gets more than they bargain for in dealing with the tribal shaman, a gypsy dancer and a sword wielding young woman who matches Nigel blow for blow. When their mission is betrayed, it becomes a race against time to stop a war and rescue Titus. But where are the old ruins? And what dark, dangerous secret do they hold? 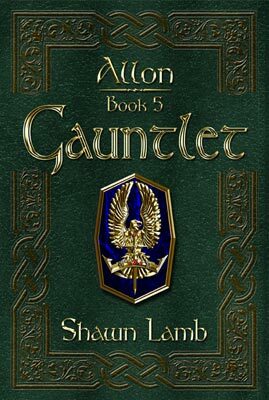 Book 5 of the Allon series.